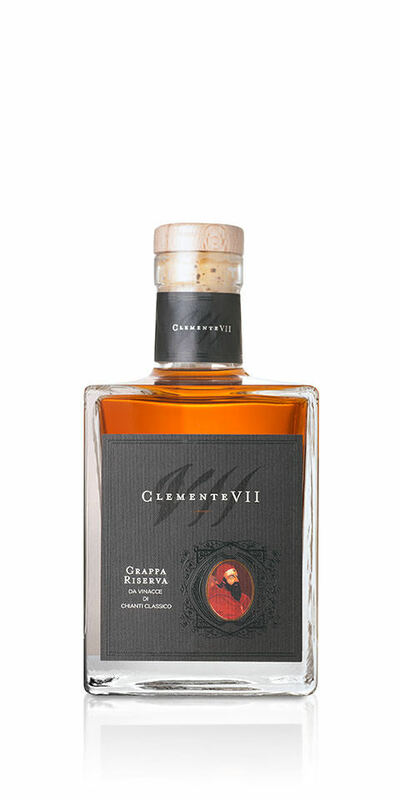 Crystal clear grappa with yellow tones and vintage gold hues. Intense and particularly elegant bouquet, rich with honey, sweet spices and vanilla. The generous notes of the bouquet are emphasised in all their elegance and complexity in a full and persistent aftertaste revealing spices and fruit preserves. Pleasantly soft flavour, smooth on the palate with no sharp edges.